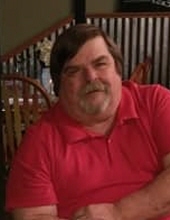 Mr. Merrill "Bubba" Riggs, 63, passed away Sunday, March 11, 2018 at his residence. Merrill was born in Savannah, Georgia, on October 17, 1954 to JZ and Miriam Riggs. He operated Riggs Funeral Home since 1999, and loved serving the people in the community. He was known for his witty sense of humor and was affectionately known as the "French Fry Guy" at the home games for Effingham County Rebel football team. He was a member of the Exchange Club, and attended Guyton United Methodist. He is preceded in death by his parents, JZ and Miriam Riggs, and sister, Janice Hendrix. Survivors include his wife, Kim; children, Shannon (Dustin) Cribbs of Shawnee, Ben Riggs of Sylvania, Heather Riggs of Springfield, and Briana Riggs of Springfield; grandchildren, Randy "Roc", Luke, Koden, and Dusti; his faithful four-legged companion, Gigi; and a number of other family members and friends. Visitation will be held at Riggs Funeral Home on Tuesday, March 13, 2018 from 5-8 PM. The family will hold a private service and burial. In lieu of flowers, Merrill would have loved donations to be made to the Ocoee Outreach mission for his grandchildren, care of Riggs Funeral Home.